Yesterday, UNIQLO released its second KAWS Sesame Street Apparel Collection, which includes these awesome KAWS Sesame Street plush dolls! As part of this new apparel collection, UNIQLO has released 20” scale plush figures of Elmo, Big Bird, Cookie Monster, Bert and Ernie with their eyes replaced with KAWS’ signature XXs. 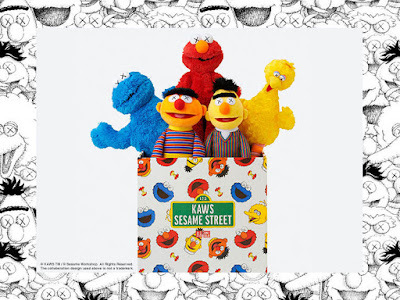 These KAWS Sesame Street Plush Dolls can be purchased individually for $39.90 each or as a full set in a collectible box for $199.90.